Cast member Brandon Victor Dixon, who plays Aaron Burr in the Broadway cast, delivered a prepared speech about the incoming Republican administration after the curtain call. 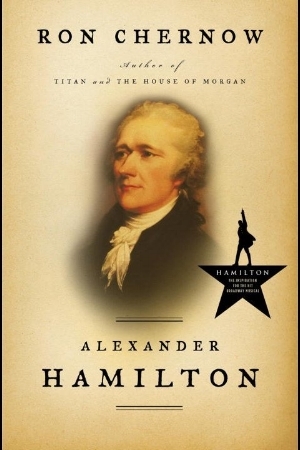 Learn more about what happened, and take a look at the biography that started the “Hamilton” revolution below. President-elect Donald Trump lobbed some harsh words of his own at the cast on Twitter, saying that the show is “overrated,” that they “harassed” Pence, and that the theater should be a “safe and special space.” He also said that the cast should apologize. Some people are now calling for a “Hamilton” boycott, even though the show is sold out. And others say that the theater is indeed a safe and special space, and that is exactly why it was a perfect venue for this type of speech. This biography of the founding father without a father inspired the hottest musical currently running on Broadway. In Alexander Hamilton, Chernow maps how young, scrappy, and hungry Hamilton became an integral part of American politics.